Ahead of this weekend’s Soweto Derby, which takes place at the Moses Mabhida Stadium in Durban on Saturday 24 November, we caught up with former Kaizer Chiefs midfielder Ntokozo Sikhakhane who is based in the city. The KwaMashu-born footballer, who had two spells with the Glamour Boys, tells us what to expect in the third Soweto derby which will be played at the venue that hosted the World Cup semi-final. Sikhakhane also shares his views on where this blockbuster clash can be won and lost. Banele Pikwa: Firstly, Ntokozo, life after football, how has it been and what are you currently doing? NS: At first it was not easy adjusting from being on the field, training every day and now you find yourself waking up in the morning trying to do other stuff besides focusing on football. But I’m enjoying iskathi sami (my time) because I have two companies ezisebenayo (that are operating). I’m doing tenders, but I’m still involved in sports because of the passion that I have for development. I do soccer camps during school holidays, I worked as a Head of Sports at Crawford College last year and I’m going back next year. I’m also running my own development program, Ntokozo Sikhakhane Talent Search, which has produced some exciting young stars. I’m planning to open a sport shop next year that will supply sports clothing and have different brands. So yes, I can say I’m still involved in football because of the passion that I have, though I do have other companies. BP: Has your development produced any players that are now playing in the MDC, NFD or even PSL? NS: No, not in the PSL. I have a couple of youngsters in the MDC. 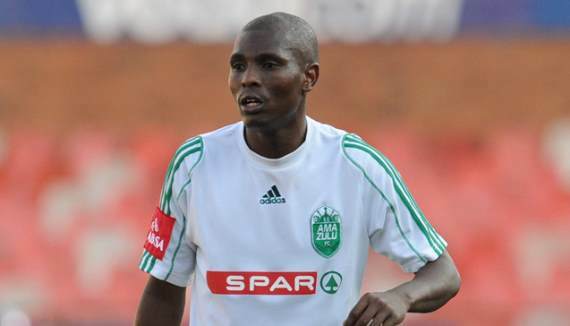 The first time Golden Arrows won the tournament, in the team that went to Spain, there were four players who were part of the Ntokozo Sikhakhane Talent Search program. I have a few at AmaZulu and others are in Jo'burg but they are still in the ABC Motsepe League. My biggest aim is to develop raw talent and that’s the why we target players coming from the rural areas. So you have to understand how difficult it is to develop a boy coming from the rural areas. I’m also looking at working with Absa bank in terms of looking out for current players because this thing of them [the players] and being broke after retirement has been going on and on. So I’ll be working with Absa to teach them [the players] about investment. I’ll be doing my first presentation soon at AmaZulu because I want to start with players from my province before going nationally. But there are a couple of projects that I am busy with at the moment. BP: You spoke about working with Absa and helping players. Did you come across any difficulties financially after you retired? NS: Yes, there were challenges and it’s normal for anyone to have those problems because if you stop having a salary it becomes difficult. If I can tell you, at [Bidvest] Wits I earned R57 000 so when you no longer getting anything life will change and it becomes difficult to adjust, it’s not easy life changes. But as I said earlier on, I’m now happy and I thank [Kaizer] Chiefs for taking me to University, studying Sports Management really helped and that’s why I can do these programs that are sports related so easily. There were challenges, but it was not that difficult. It was easy for me to get something on the road and move on. BP: You mentioned the R57 000 you earned at Wits. Was that your biggest pay cheque if you don’t mind me asking? NS: No, it wasn’t my biggest. My biggest was at AmaZulu, because there, I would take home about R70 000 a month after you’ve included all the bonuses. At Wits, I got R57 000, but because I wasn’t a regular so I didn’t get those match bonuses, performance fees, and appearance fees. So it’s not easy to make a lot of money when you’re not a regular. At AmaZulu, we use to get like R4000 a game and you find that you’ve played four games in one month so that’s where I can say I made a lot of money. It’s easy to make more money if you are a regular, so I’d say my biggest was at AmaZulu because of all the other incentives. BP: There’s a big Soweto Derby match that’s taking place on Saturday in Durban. Do you think this is a chance for Chiefs to get their revenge on the Buccaneers? NS: It’s really going to be a tough game because if you look at current performances kulama team (of both teams). Chiefs have had some good games and Pirates have been brilliant so it’s really going to be a tight game. But I give Chiefs a close, close, close win because of the support they usually get In Durban. So because of that, I’m giving Chiefs a chance but it’s going to be a very close, close game. I haven’t been convinced with this Kaizer Chiefs team in terms of organisation and having that structure compared to Orlando Pirates. Pirates have a lot of quality in their team. Yes, Chiefs do have quality also but Pirates are strong in each and every department. Maybe that will be a good challenge for Chiefs. But, I do give them a chance because it’s [the game] played in Durban and they wouldn’t want to lose again to Pirates. BP: What do you make of the head coach at Chiefs, Giovanni Solinas? NS: Eyi, he looks passionate about his job. But he’s always shouting on the touchline, maybe that’s how he is but he’s very different from coaches like Micho and Rhulani. Everyone has their own style of coaching but if you going to spend most of the time shouting at players in a big team like Kaizer Chiefs then the public will think you don’t know what you’re doing. If you coach a big team you should understand that you’re working with big players and you should allow them to express themselves. He’s very different from top coaches like Micho, Rhulani and even Manqoba. These guys understand that they are working with big players, most of the time they are calm and observing the game. A top coach will only stand when passing those one or two messages but Solinas is always shouting and giving information to the players and that doesn’t look good for someone who is coaching a big team, it makes him look like he doesn’t understand the quality he has. BP: Speaking about coach Rhulani, what do you make of the incident that happened against Mamelodi Sundowns, where a supporter made his way onto the bench? NS: That’s not acceptable in our football, anything could’ve happened, you know. Rhulani was busy focusing on the game and from nowhere a supporter attacked him. It’s not right, SAFA [South African Football Association] or the league should stand up and do something we can’t be seeing such things in our country. Coaches and players should be protected on the bench at all times. It’s sad because you will never see stuff like this in top leagues. BP: Ntokozo, during your days, there was a combination which we feared from each team. Chiefs had the Radebe – Mbesuma combination and you were part of Dynamos’ deadly partnership with 'AK47' Sandile Ndlovu. Nowadays teams prefer one player up front. Do you think that has an impact in the lack of goals we’ve seen recently? NS: You know, last week I discussed this with another guy. He was saying our strikers are solely to blame for the lack of goals. I disagreed because if you look at how football has changed, it [modern football] accommodates midfielders to score more goals. If you look at the top leagues, it’s the midfielders who score the most about 20 goals from 30 games that’s why I say our midfielders need to start getting goals also. Back in the days we played two strikers and the midfielder’s job was mostly to create chances for their strikers and that’s what the likes of Doctor Khumalo, Thabo Mooki and Stanton Fredericks did and those guys use to take their chances. Nowadays, the football allows midfielders to score more, but in our country, the best midfielders don’t score. For example, look at the likes of Xola Mlambo who only score once in six games, Andile Jali doesn’t score and even 'Ace' [Oupa Manyisa] don’t score goals and these guys get chances also, so they need to raise their game in front of goal. We can’t blame a lone striker playing against four defenders. BP: You spoke about Kaizer Chiefs having a chance and also praised Orlando Pirates. Ntokozo, who’s winning on Saturday? NS: I will give it to Kaizer Chiefs because of the support they get in Durban. BP: Ntokozo,thanks a lot for your time. We really appreciate it.